Small gardens - it wasn't the most obvious book for me to write. After all, our current garden is around an acre plus another three of meadow. 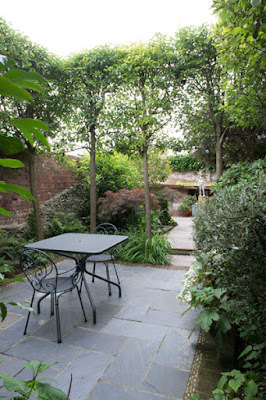 But I used to joke about all serious garden writers having to write at least one book on small gardens in their career. Some write several, Sir Roy Strong I seem to recall, wrote at least two, back in the 1980s, although his definition of 'small' seemed to be just under an acre. All I can say is that I didn't start out aiming to do this. 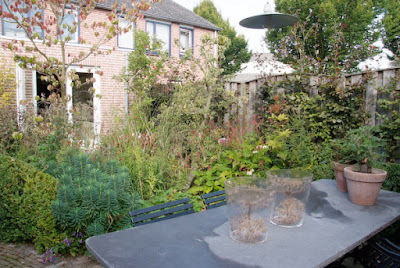 I remember meeting up with the Dutch photographer Maayke de Ridder, on her lovely houseboat on the outskirts of Amsterdam; she originally suggested to me that perhaps we should do a book together on contemporary Dutch garden design. Seemed like a good idea, except that the publisher we took the idea too, Frances Lincoln of London, took the view that having 'Dutch' in the title would not help sell the book; I did wonder whether the attitude would have been the same if we had gone to them with an idea about French gardens; as it appears anything French is generally regarded as chic and cool and stylish by the book buying public. I think the publisher's attitude might have been that the perception of Dutch + garden = tulips. Such is the power of branding, you could sell a book titled 'Dutch Tulips' or 'French Gardens' but not 'Dutch Gardens' or indeed'French Tulips'. 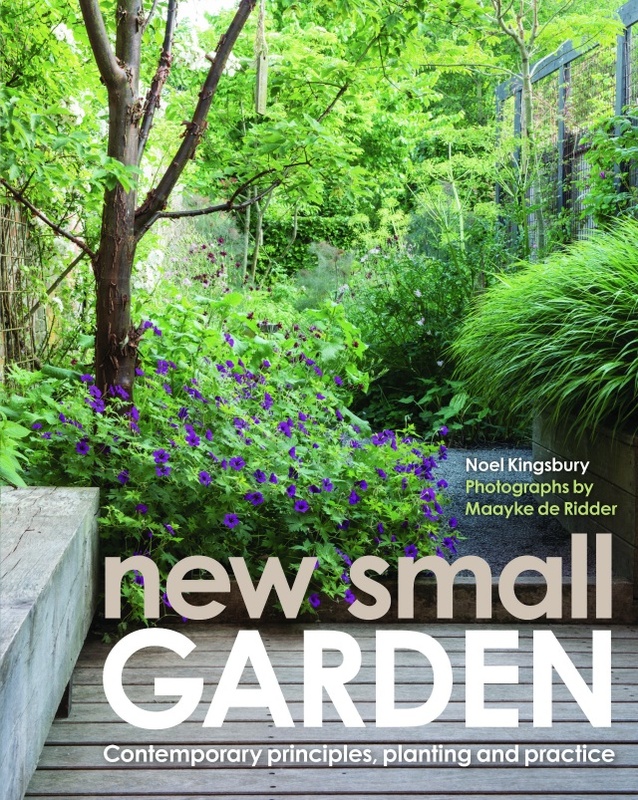 "What about doing a book on small gardens?" suggested the publisher's commissioning editor, adding something along the lines of "we haven't done one for five years". Indeed - most of the gardens were small. Maayke has some fantastic connections, enabling her to get access to some of the gardens behind those wonderful canal houses in Amsterdam, many of which are very inventive in the way that they use space. So, it seemed like a good idea. We'd have to include some British gardens as well though, so I set to, looking through the National Garden Scheme 'yellow book', finding innovative looking gardens and contacting owners. Originally, Maayke and I had the idea of doing the book around case studies with a strong focus on the relationship between the owner and the garden. The publisher did not care for that and gradually made us accept that the book would have to be more thematically arranged, with a double page spread case study at the end of each chapter. Of such compromises is publishing done. "Isn't writing yet another book on small gardens a bit of a hack job ?" I can hear some of you say. Well, I like to think that this one is different. The reason is this. If you look at many books on small gardens they include many pictures of show gardens. Photographers are under great pressure from magazine editors to cover the Chelsea Flower Show an other events with show gardens. So they end up with plenty of material which it is very tempting to resell to book publishers. The publishers' art editors love these images: everything is perfect, they are visually dense, with plenty to admire and talk about in each image. But, they are not real gardens. They are almost inevitably stuffed full of 'hard' elements: paving etc., which is very often high end and therefore very expensive. 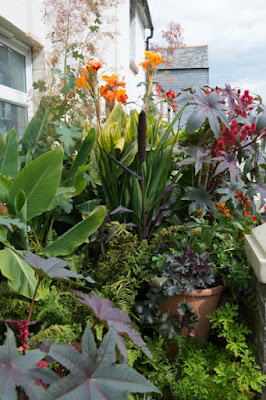 The planting is dense too, "more like flower arranging than gardening" in the words of one colleague. They are simply unrealistic. There is also the temptation to include gardens from well-known designers too, and since they tend to work for very wealthy clients, the gardens end up being so aspirational that they remain just that for most people, aspirational. Along with all the other things that you aspire to after winning the lottery. 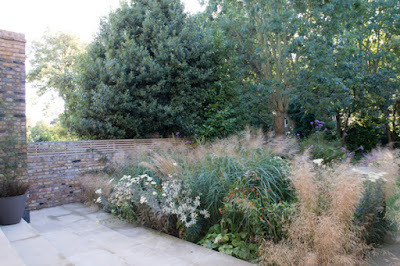 As an example, someone of my acquaintance recently asked a well- known London based designer to look at a possible garden job for a house in central London. "What's your budget?" he was asked. "£80,000" he said, "you'll need £250,000" came the reply. So, working with Maayke, we made sure that all those gardens featured were 'real gardens'; only a few show garden shots were enclosed, just some very close-to ones to illustrate some specific features. 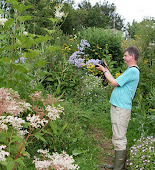 Of course, it being written by me, it is very much focussed on plants - selecting and combining them. Making the most of a small space involves not just choosing plants of a suitable size - and which will stay that size (tree planters please take note) but also fittting them in together (or as we say in English, 'shoehorning') - which is where my ecological approach comes in. 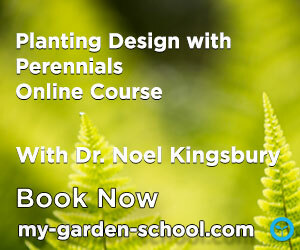 I try to show how to learn from how plants fit together in a natural environment. 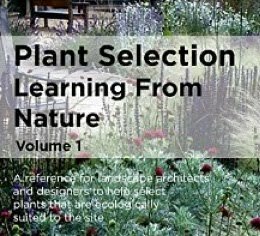 Also of course, many of the readers will be first time gardeners, so inevitably this is something of an entry-level book too. Writing for beginners is a great discipline, a way of trying to cast aside assumptions, and put yourself in other peoples' shoes. So, long after writing it, and captioning pictures, and getting to that point where you can't remember what picture goes where, it all comes together and it appears in the shops. What impressed me about the design and editing is how many pictures get put together on the page without it seeming crowded. And this is how to get it! I'm enjoying my copy immensely which came at the right time for some border redesigns I'm planning. Thank goodness we've had good weather as I'm sitting in the garden with your book, reading a chapter, then casting a critical eye over my garden and making notes on what needs doing. Interesting to have an insight into the book writing process, thank you. Really enjoyed reading the story of how you brought the book to completion with the very helpful help, guidance and insistence on the part of your publisher. Just as well both you and the photographer were amenable and flexible, and still able to come up with creative responses to the commissioning editors 'hot' suggestions. Hope it goes well. Aah... Daughter number two is just buying her first house - moving from a second floor rented flat to a 3 bed house with a small rear garden and so pleased to have a garden at last. Seems like I have found the perfect Christmas present for her...Thank you. 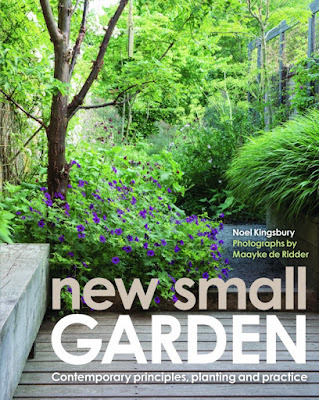 Looks like an very interesting book, although I don't regard my garden as small but I always like it to find some new ideas. Looking foward to it Noel.